Opportunities exist for quickly and easily accessing Desolation Sound to take advantage of a weekend of rest & relaxation. 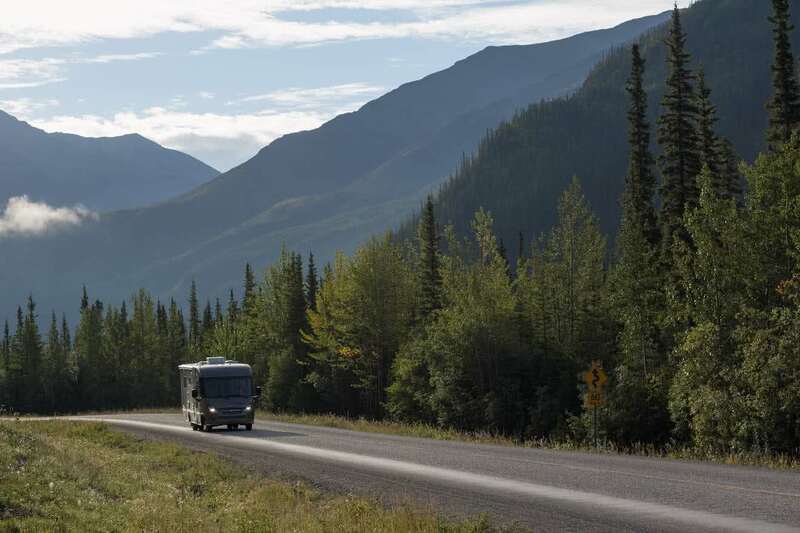 Options include driving, commercial flights, and chartering a sea plane from Vancouver, Victoria, or Seattle. It is possible to finish work at 5pm in Vancouver and reach Powell River – despite the two ferries – that same evening. From here you are perfectly placed to arrive at our office the next morning to head to Cabana Desolation. It is also very possible to land back at our Okeover office from Cabana Desolation on the final afternoon of your trip and return to Vancouver the same day. This means it is possible to drive to and from Cabana Desolation all in a long weekend! This makes a long-weekend or short 4 day visit to Cabana Desolation Eco Resort very feasible from Vancouver and the lower mainland – the perfect quick getaway from the daily grind! From Victoria, it is not possible to make the final connection to Powell River after work to arrive that evening. However if you stay in Comox you can catch the earliest ferry the morning of your package. This allows you to arrive at our Okeover office before 9am. 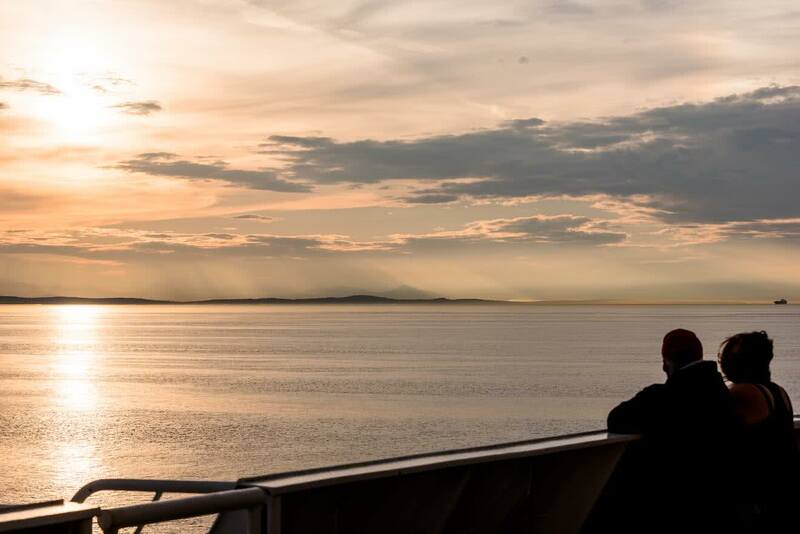 Please follow this link for ferry times from Vancouver and Victoria to Powell River. For greater detail on the route and logistics of driving to this area, please read the information on our Travel to Powell River pages. Flights from the Powell River airport only fly into and from Vancouver International Airport’s South Terminal. This means that all guests intending to fly in to Powell River need to originate or transit through Vancouver to do so. That said, the flight from Vancouver takes all of 25 minutes! This is far less than the 5 hours or so it takes to drive, and is a very scenic way to arrive in this beautiful region. The first flights arrive in Powell River at 9am, from which it is a 30 minute taxi ride to our Okeover location. The exception is Sunday, where the first flight arrives at 10.15am. 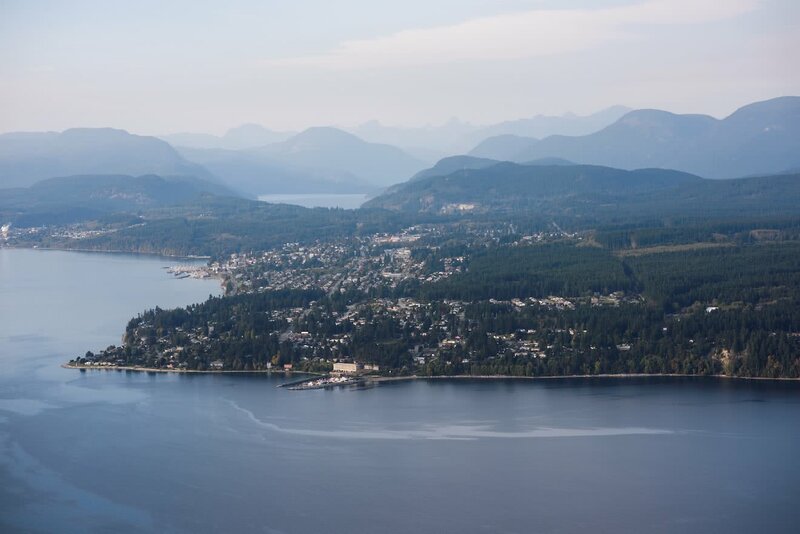 If you are on a guided package starting on a Sunday you will need to fly into Powell River the night before the tour. Return flights in the afternoon leave Powell River at various times. At least one or two flights are comfortably catchable after the tour ends in the afternoon. In the summer there are generally 5 flights a day in and out of Powell River. Travellers coming from other parts of North America and the world can make easy connections on their way through Vancouver. 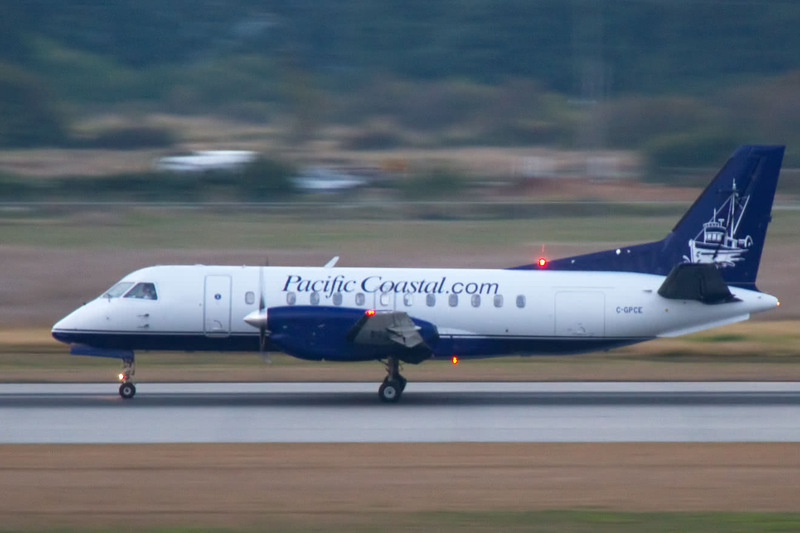 Please check out Pacific Coastal’s website to see which flights suit your needs and make your bookings. Also note there is no reliable bus service between Powell River and our Okeover location. A taxi will need to be called to take you the remaining 30 minutes to our office in Okeover Inlet. If you are arriving the morning of your tour please call ahead to ensure the taxi is waiting for you upon arrival. For ultimate flexibility, a sea plane can be chartered from Victoria, Seattle, or anywhere in the Lower Mainland of BC. This can be a quick and convenient option to fly your group into Powell River at your convenience. Sea planes can conceivably be chartered to land anywhere with water and a clear landing. In the past, the common option has been for the chartered plane to land at the marina on Powell Lake. From here it is an additional 30 minutes via taxi to our launch site on Okeover Inlet. 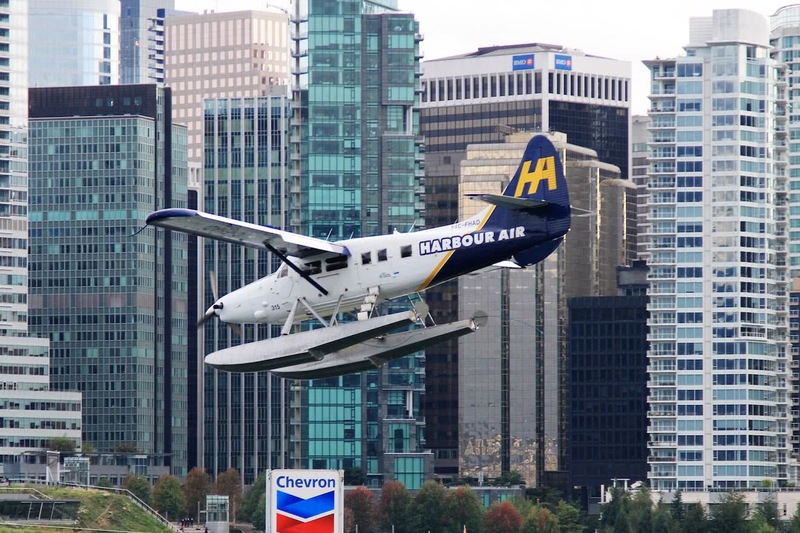 The two main companies that fly to locations on the BC coast are Harbour Air, which are based in Vancouver and Victoria, and Kenmore Air based out of Seattle.